Now that the girls are on Summer Vacation they're home for lunch every day. 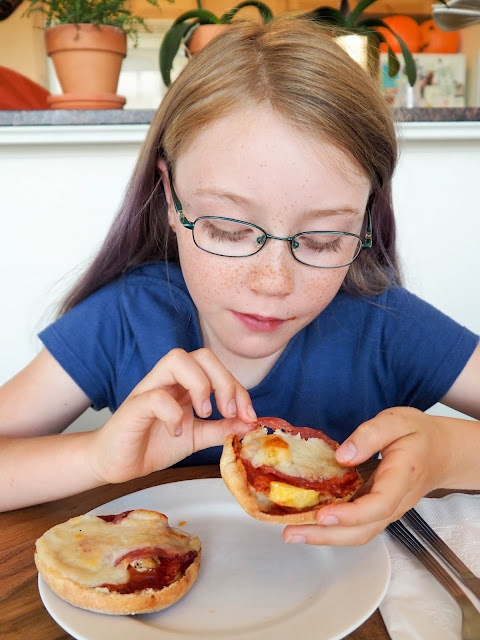 During the school year sandwiches tend to be our go to lunches, but with the girls home for lunch we've got the opportunity to have a little more fun with our food. 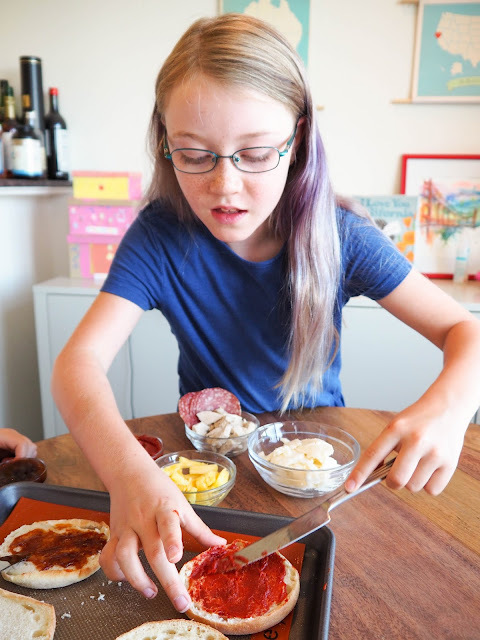 The girls love getting involved in making their food so I've been thinking about recipes that are super simple, yet tasty, that all three of my girls can help with. Today's lunch was about as simple as you can get. 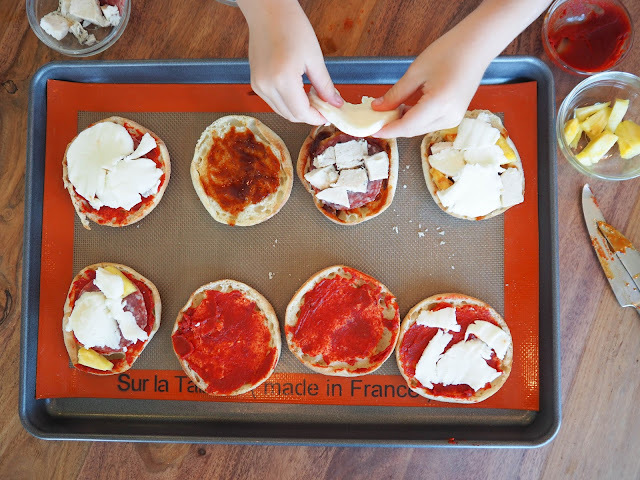 Mini pizzas made with English muffin bases. Not the most gourmet cuisine, but tasty none the less. 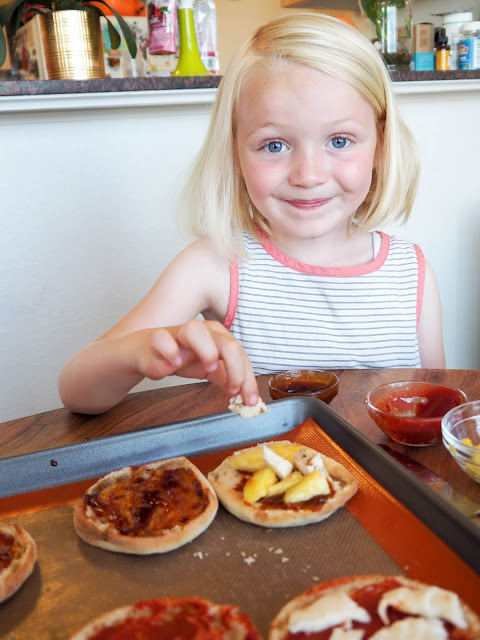 I love this simple recipe as it really is easy for little ones to make with minimal help, it's super quick, and it's easily adapted to suit even the fussiest of eaters. 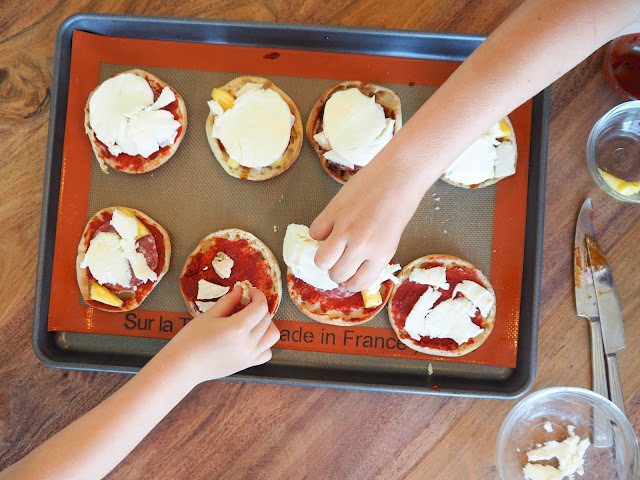 Plus making these little pizzas with the kids brings back childhood memories of making them myself with friends. 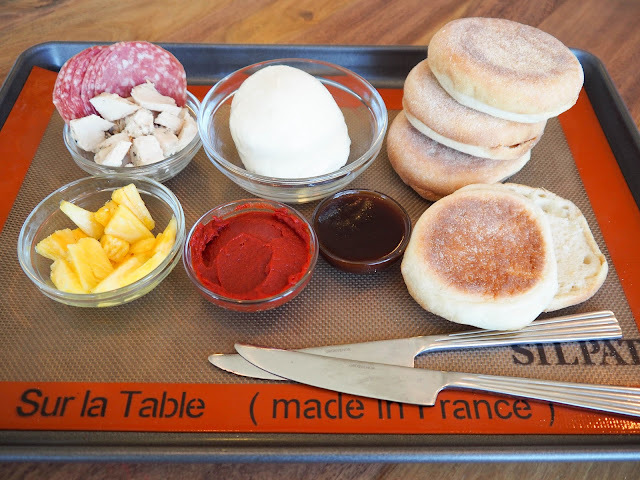 Slice the English muffins in half and place them cut side up on a baking tray. Spread your favorite sauce on the muffins. We made half of ours with good old tomato paste and the other half with BBQ sauce. Place your favorite toppings on top of the sauce. We made a mix of pizzas with salami and mozzarella (on the tomato paste bases), and roast chicken, pineapple and mozzarella (on the BBQ sauce bases). I like to put the mozzarella on last so it melts all over the top and covers everything with cheesy goodness. 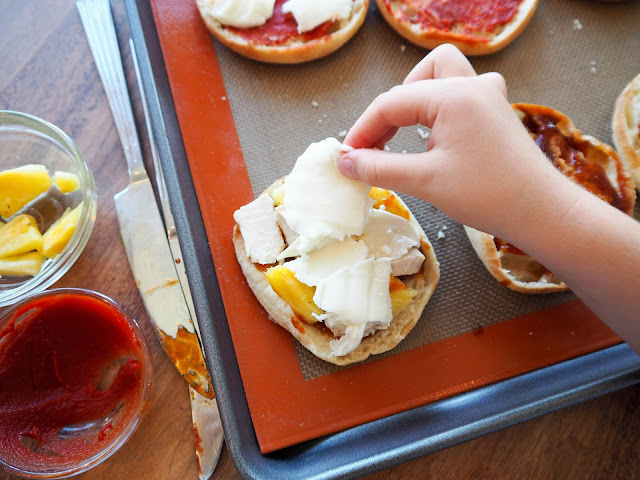 Place the muffin pizzas into the oven and bake for 15 minutes, or until the mozzarella has melted and is slightly golden. Remove from oven and cool for a few minutes before enjoying. 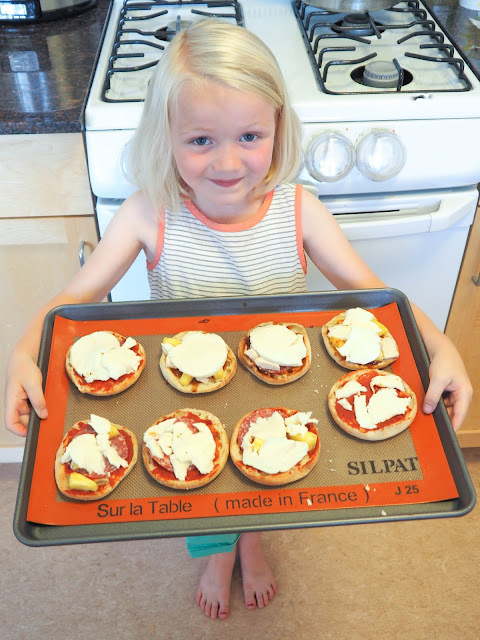 A super simple, tasty recipe that the kids can make in no time! 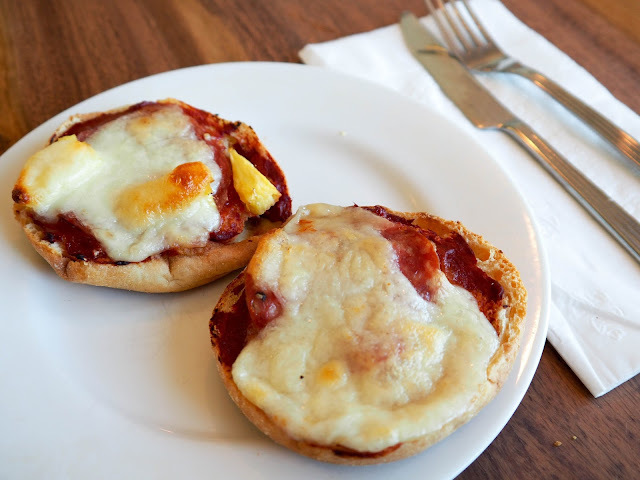 Want to make your own English muffin pizzas? Don't forget the fresh mozzarella! Stella Fresh are offering Little Hiccups readers $1.00 off Stella Fresh Mozzarella. Just click here to download the coupon. Offer valid June 12 - August 20 2016. For more delicious mozzarella recipes and inspiration make sure to check out Stella Fresh on Pinterest, Instagram and Facebook. Too cute! 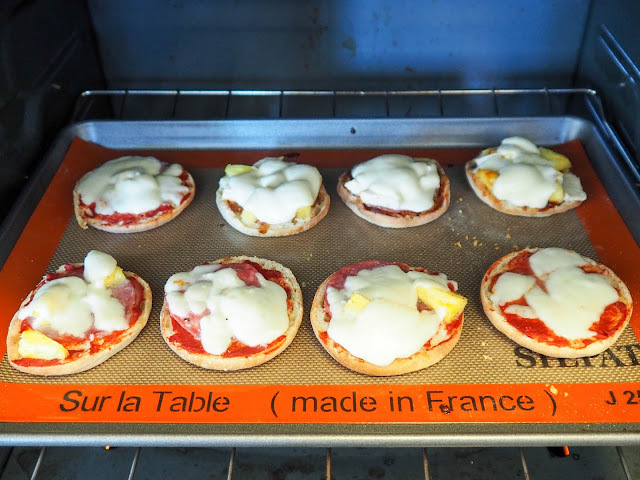 These little pizzas look yummy!